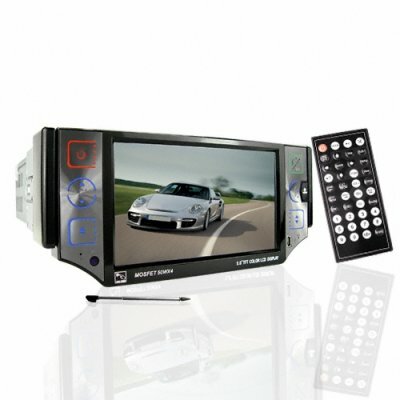 Successfully Added Dependable 5 Inch Car DVD with Ipod Control to your Shopping Cart. This car dvd features ipod control and will bring a bit of pizazz to any dull car interior, with an awesome gloss finish with no protruding buttons. The best news is that the features match the great looks, with Ipod control, Bluetooth, and a great analaog TV tuner. The DVD drive can read all regions of discs and many common codecs so you can watch all those legally acquired movies from the internet. The small time watermark is a great feature that will ensure your not late for that appointment while you're watching a movie and the remote control will keep you in charge even from the back seat. Sound is also amazing with a multimode equaliser. All in all another awesome car DVD player with many of the features of our more expensive units, grab one today at a super wholesale price..